Having been praised for his “exceptionally expressive instrument” (Bachtrack) and “clear, ringing forthright sound (The Montreal Gazette), Cairan Ryan has embarked on a promising young career. In 2017-18, Cairan will appear as soloist in the Mozart Requiem with the Ottawa University Choir, and return to Sugar Creek opera as the title role in Il Barbiere Di Siviglia. In the 2016-17 season, he made company debuts with the Netherlands Radio Philharmonic Orchestra/Het Concertgebouw as Der Notar in Richard Strauss’ Intermezzo, Op. 72, the Nederlandse Reisopera as Alcindoro in La Bohème, and will sang the Immigration Officer in Tapestry Opera’s World Premiere of Oksana G. The 2015-16 season saw him make debuts with the Viva Voce ensemble in Montreal, singing J.S. Bach Cantatas 63 and 113, the Vero Beach Opera as Dr. Falke in Die Fledermaus, reprise his role as Don Alfonso in Against the Grain Theatre’s critically acclaimed production of #A Little too Cozy/Così fan Tutte, and make his Sugar Creek Opera debut as Tom Joad in Ricky Ian Gordon's The Grapes of Wrath. In the 2014-15 Season, he sang Papageno in The Magic Flute at Opera Lyra Ottawa, and appeared as soloist at the Festival de Lanaudière with the Orchestre Metropolitain de Montréal in Bruckner’s Mass No. 3 in F minor, with Yannick Nézét-Seguin at the podium. 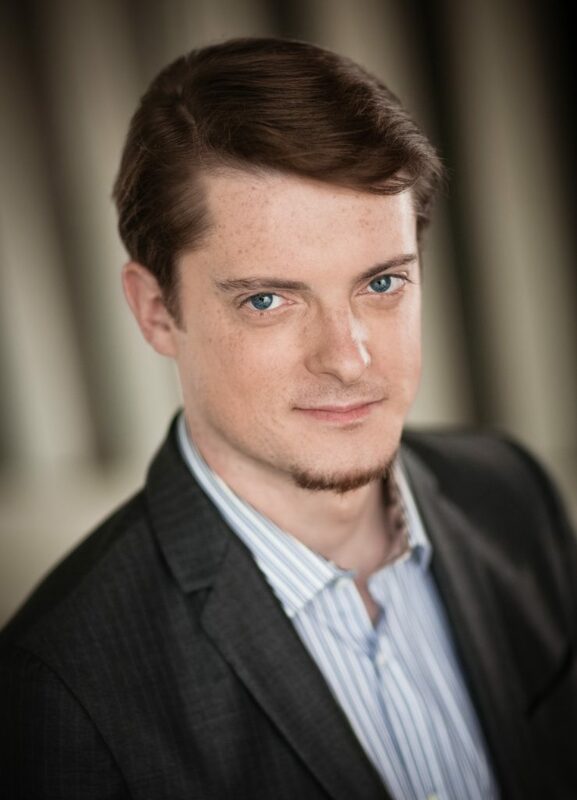 Cairan was a young artist at the Atelier Lyrique de L’Opéra de Montréal, The Virginia Opera, attended the Tanglewood Music Center as a Vocal Fellow of the 2014 Festival Season, and made his Boston Symphony Orchestra debut as the Doctor/Inquisitor II in Bernstein’s Candide, under the baton of Bramwell Tovey. Cairan is a winner of the Metropolitan Opera National Council Auditions at the District Level (Kansas City District), an inaugural Koerner Foundation Scholarship recipient, and was supported by the Schulich Scholarship and the Noel E. Spinelli prize in Music at McGill University. He holds degrees from The University of Victoria School of Music, The Guildhall School of Music and Drama, and the McGill University Schulich School of Music. "Dans le rôle du père Peter (Haensel und Gretel, Opera de Montreal), Cairan Ryan, baryton, sait mettre en valeur sa voix majestueuse. Tout comme son jeu, ce jeune homme est voué à une belle carrière." "Baritone Cairan Ryan, the lone male in the cast, made a ringing, forthright sound as Peter"
"On aura probablement un faible pour le baryton Cairan Ryan par sa présence plus charismatique, et pour une voix parfaite pour ce type de répertoire (Haensel und Gretel, Opera de Montreal)." "Cairan Ryan’s voice has blossomed of late into an exceptionally confident and expressive instrument. His portrayal of Bob, the would-be thief (The Old Maid and the Thief, Atelier Lyrique), was at times uproarious and at times embodied an air of Schubertian wanderlust." Baritone Cairan Ryan is the glib Don L. Fonzo (Don Alfonso, #A little too Cozy/Cosi fan tutte, Against the Grain Theatre), a master of the arched eyebrow and snappy one-liner. Forever in the spotlight, stage centre in our consciousness, this archetypal ring master, has a way with words, sung or spoken, his delivery as sharp as his suits and matching wing-tip shoes. Contemptible and charming in equal turns, Ryan is a one-man, stand-up, knock out, forever centre stage, a singing actor of immense charisma. Ryan repeatedly stole scenes with a hilarious flashy archetypical game show character clad in Don Cherry style suits and a moustache, which due to the magic of television magically regrows itself. He had the audience locked in from the get-go (Don Alfonso, #AlittletooCozy/Cosi fan Tutti).